Amazon Prime members can now download content to their device | What Hi-Fi? Amazon has brought the fight to other major video streaming services with the added ability to download content for offline playback. 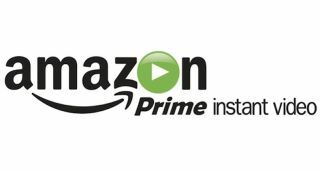 Amazon is now offering its Prime members the ability to download certain content to their iOS and Android portable devices. The download feature has until now only been available to Kindle owners, but Amazon has just expanded the privilege to all Prime customers. However, only a selection of Prime movies and TV shows will be available for download. These include Amazon’s original content, such as Transparent and Bosch, and content from exclusive licensing agreements with NBC Universal, CBS and Fox. So if you want to download a whole series of 24, go right ahead. Content can be downloaded through the new Amazon Video app, which is available on the Apple App Store for iOS devices, or via Amazon’s Appstore for Android devices. The ability to download content is only available in the US, UK, Germany and Austria. The news comes after Netflix - which said it would never allow offline playback - failed to renew a deal with distribution company Epix, meaning it will lose a large chunk of its movie and TV show library.